Mr. Seward listened attentively, and, when I had finished what I had to say, he invited Captain Meigs ? who had come in the mean time – and myself to accompany him to the President. When we arrived at the White House, Mr. Lincoln – who seemed to be aware of our errand ? opened the conversation. 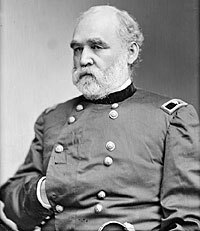 Villard credited Meigs appointment to the influence of Secretary of the Treasury Salmon P. Chase, but the truth was that Meigs had cultivated relationships with President Lincoln and Secretary of State Seward as well. 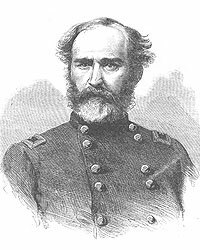 As a headquarters general, Meigs had unusual access to the President – on both a military and social basis. 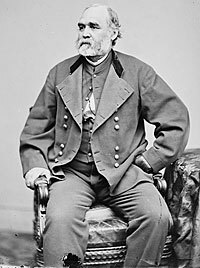 When General John C. Frémont caused political problems by issuing his own emancipation proclamation in September 1861, Meigs was sent with Postmaster General Montgomery Blair to Missouri to deal with the problem. Montgomery Blair wired President Lincoln: “Appoint Meigs by telegraph things are deplorable and action must be decisive & prompt to save the state.”7 On a lighter note, when Hermann the magician performed at the White House on November 24, 1861, General Meigs was one of the few military officers present. More important, Mr. Lincoln came to rely on Meigs’ judgement. President Lincoln’s frustration with inactivity of the Union Army boiled over in Meig’s office in the Winder Building on January 10, 1862. In was a tough period. 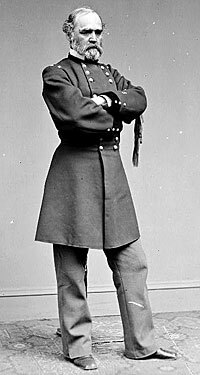 At the same time Mr. Lincoln was preparing to replace Secretary of War Simon Cameron with Edwin M. Stanton and typhoid fever had rendered Union commander George B. McClellan bedridden and virtually incommunicado. “General what shall I do? The people are impatient; Chase has no money and he tells me he can raise no more; the General of the Army has typhoid fever. The bottom is out of the tub. 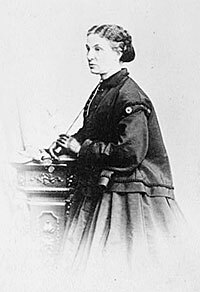 What shall I do?” Mr. Lincoln asked Meigs.8 As a result of the meeting, President Lincoln called a Council of War two nights later with Generals Irvin McDowell and William Franklin, Secretary of State Seward, Secretary of the Treasury Chase and Assistant Secretary of War Thomas Scott. 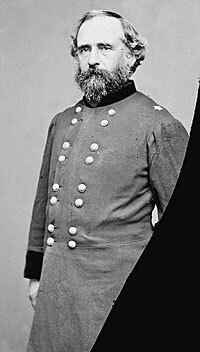 News of that meeting pulled McClellan off his sick bed and back to military command. 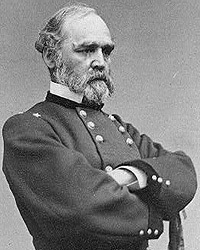 Over the remainder of the Civil War, Meigs’ honesty served him well in his position which required superintending the purchase and distribution of millions of dollars in supplies. 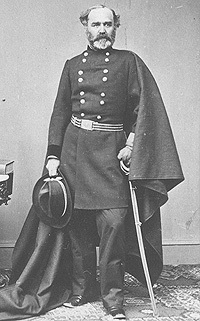 Presidential aide William O. Stoddard wrote that “when he gets clean through there won’t be a stain on him.”10 Meigs was one of the few generals present at the Petersen House when President Lincoln died. 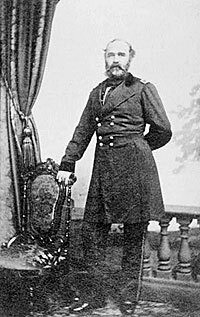 He remained in his post as Quartermaster General until 1882. Charles M. Segal, editor, Conversations with Lincoln, p. 98 (from Montgomery C. Meigs, “General M. C. Meigs on the Conduct of the Civil War,” American Historical Review, January 1921, p. 299). David Dixon Porter, Incidents and Anecdotes of the Civil War, . Gideon Welles, The Diary of Gideon Welles, Volume I, p. 16-18. Henry Villard, Memoirs of Henry Villard, Journalist and Financier, Volume I, 1835-1862, p. 179. Abraham Lincoln Papers at the Library of Congress. Transcribed and Annotated by the Lincoln Studies Center, Knox College. Galesburg, Illinois. (Letter from Abraham Lincoln to Winfield Scott, June 5, 1861). David C. Mearns, editor, The Lincoln Papers, p. 630 (Letter from Winfield Scott, June 5, 1861). “General M. C. Meigs on the Conduct of the Civil War”, American Historical Review, Volume XXVI, 1921, p. 292-293. Michael Burlingame and John R. Turner Ettlinger, editor, Inside Lincoln’s White House: The Complete Civil War Diary of John Hay, p. 191 (April 28, 1864).